In our last post, we began to let you in on some questions you should consider asking your potential personal injury lawyer before hiring them. In this post we will continue our list so that you can make the most informed decision about which attorney to hire in order to get the settlement you are hoping to obtain. Plain and simple, the more settlement victories a law firm has, the more likely you are going to win your case. While a law firm may have been in business for years, they may not have won a case in months. If this is true of the attorney you are considering hiring, wouldn’t you want to know? Find a lawyer who can show his/her success easily as well as show that it is consistent. Often cases are delegated to other members of a law office team. This means someone who is not necessarily a partner at the firm, but rather an associate. While many associates are talented lawyers, you need to know from the beginning who will be handling your case. If it is important to you that a partner at the law firm is the one handling the day-to-day aspects of your case, you need to make this clear from the get-go. Anyone you hire for any service at all stands a much better chance of getting your service if they have received awards or honors in their realm of business, right? If you know the attorney assigned your case has been recognized for outstanding abilities, you are much more likely to feel comfortable with them representing you. There are specific types of cases that require an enormous amount of time and work from and for the attorney who is handling it. Cases like wrongful death or catastrophic accidents require an enormous amount of preparation, research and overall dedication in order to get the desired outcome. 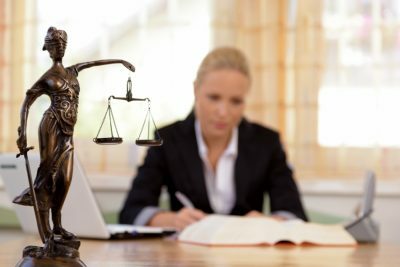 If your case is either of these, you want to make sure it will be given the attention it deserves before you ever hire a specific law firm or lawyer to handle your lawsuit. The professional law team at Alex Hernandez Trial Law would be happy to answer any of the questions we presented to you in this post. As San Antonio’s most dedicated personal injury law firm, we will be happy to disclose any and all information you request regarding accident injury and our own methods at the law firm in order for you to feel comfortable with us taking your case. Contact us today to make an appointment so that we can get you into our office sooner rather than later and start working towards the settlement you deserve. You won’t be sorry you sought out our help!